A new messaging app lets you take back messages after they've been sent - but only if the recipient hasn't read them yet. The clever feature, which will be a godsend to drunk texters and clumsy-fingered folk everywhere, is one of many built in to Privates, a messaging app now available for the iPhone. 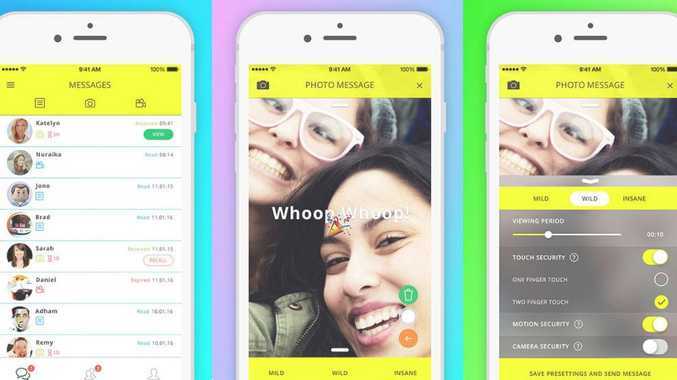 After sending a text, picture or video message, users will be able to 'recall' it at any time, erasing the message from the recipient's phone. However, this only works if the recipient hasn't read it yet, so any embarassing texts will need to be deleted quickly. Secure chat app Telegram offers a similar feature, allowing users to delete messages from both sides of a 'secret' chat with the tap of a button. You can also delete messages from services like WhatsApp, but they'll only be deleted from your device, not the recipient's. Like Telegram, the app uses strong end-to-end encryption, protecting users' messages from hackers and nosey intelligence agencies. Users can also make their unread messages 'self destruct' after a certain time. With the 'Mild' security setting, messages disappear after 24 hours. On the 'Wild' setting, they last for 12 hours, and expire after three hours on 'Insane'. There's a few interesting security measures designed to protect your messages from screenshots, too. 'Touch Security' forces the recipient into quickly tapping two on-screen buttons in order to view a message, theoretically preventing them from screenshotting it by pressing the iPhone's home and power button. 'Motion Security' works in the same way, but tells the recipient to carefully hold the phone upright in order to view a message, while 'Camera Security' makes them hold their phone up to their face. Using all three at once would make it pretty difficult for the recipient to take a screenshot. It's also impossible to view messages when your phone is plugged in, stopping users from using shady third-party tools to record their screens. According to the Privates website, the app is useful for "business professionals" and "doctors" - but it's not hard to see where a screenshot-proof messaging app would come in handy. Maybe the name is a veiled reference to something? It remains to be seen whether Privates will take off. Many iPhone users already have a number of messaging apps on their phone, and it's not clear whether Privates' security features will be enough of a draw for them to install another. And if your friends don't have the app, there's not much reason for you to have it.